Probably the nicest thing about the human race is that no matter how hard our own lives are, we are always willing to help those who are in a worse position than us, and St. Joseph School in Mountain View, CA is a perfect example of this kindness. On March 23, they are hosting the 15th Annual Run for Zimbabwe Orphans. This is a family event which will celebrate all things African while raising funds for a fantastic cause. Throughout the day, there will be races for all age groups, from the small 220 yard run for preschool students to the classic one mile run for the older kids. Each person who takes part will receive a ribbon and championship cups will be awarded to the first, second and third placed runners in each race. In addition to the running, there will be an art exhibition where children will be able to showcase their fantastic African art. The top artists will also receive a prize in the form of a toy hippo. In Africa, everything is bright and colorful, and so the day will be surrounded with bright orange t-shirts and lots of color displayed by African game booths, Zimbabwe music and food, animal mascots and much more. Of course it is important to remember exactly what the event is being held for. This year the funds will be sent to the Makumbi children’s home in Zimbabwe, with the main project being about the creation of a cottage for girls who have turned 18 and have become too old to stay in the orphanage. The cottage will provide them with a place to live as well as offering vocational education courses and support for them to gain employment. So come along to this fantastic family event and help to make these young women’s lives better by providing them a chance to succeed. 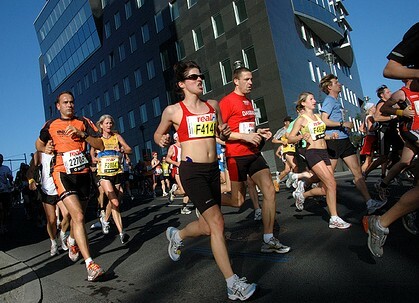 Even visitors who are staying in one of the hotels in Mountain View CA are invited to participate in the annual run. Previous PostVisit the Thomas Fogarty Winery and VineyardNext PostMountain Views 36th Annual Downtown Family Parade!